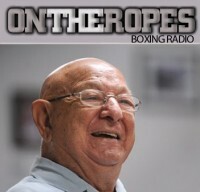 Showtime boxing analyst Steve Farhood was inducted into the boxing hall of fame back in June and is one of the most respected commentators in the sport. Farhood has been calling fights ringside for the series ShoBox, which has featured the best up & coming talent in the sport for 15 years. 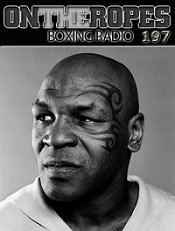 In addition, Farhood provides scoring commentary for many of the biggest events in boxing. 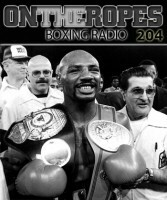 In part 1 of my “On The Ropes” boxing radio interview with Steve Farhood, I get his thoughts on the upcoming Anthony Joshua vs. Carlos Takam bout. Farhood also talks about the rise of Joshua’s profile in the sport and if he thinks we could see a Joshua-Wilder bout. 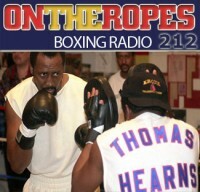 Additionally, Steve gives a breakdown of how he thinks Joshua vs. Wilder would play out. Here is what Steve Farhood had to say. Jenna J: Anthony Joshua will be returning to the ring this Saturday. What do you think of his match-up with Carlos Takam? Steve Farhood: I’m sad I’m not there because I had hip replacement surgery and I’m missing the fight as a result. I think Anthony Joshua has become must-see TV. Joshua is exciting, the Klitschko fight sold him so well, you couldn’t have written a better script to promote Anthony Joshua than that fight. Getting off the floor to win, looking like he was done and then coming back against a determined former champion. The heavyweight division is what it is, we have Wilder and we have Joshua, we’re hoping that they fight each other sometime next year, and one of the reasons we want to see them fight so badly is not just because Joshua is 19-0 with 19 KO’s and Wilder is 38-0 with 37 KO’s, but the heavyweight division is not exactly full of threats. Pulev got hurt, Povetkin took himself out because of drugs. It has happened now to Wilder three times where he’s lost an opponent because of a PED test. It’s not like there’s a lot of opponents for these guys to fight, and that’s one of the reasons we want to see them fight each other so badly. Jenna J: A lot of people say that Takam is a step down. What do you think Joshua can get out of this fight when expectations are low? Steve Farhood: I don’t know that Takam is a step down. He might be a slight step down in terms of quality, but I don’t think he’s a step down in terms of entertainment value. He’s a short pressure fighter, he’s going to come to Joshua. If he has the ability to get inside, then he’s going to throw a lot of punches and it’s going to be entertaining. Pulev is a much bigger guy at 6’4, and the way he fought against Klitschko, I’m not sure he would have been all that competitive against Joshua. Against Klitschko, he just seemed to prove how tough he was and that he could take punches. Pulev might be a better fighter than Takam, but Takam is pretty tough and it may make for an entertaining fight, as long as it lasts. Jenna J: Wilder and Joshua have been talking a lot, and usually when that happens it takes a very long time for the fight to come together. How far off do you think that fight is? Steve Farhood: Well, it would have to happen in 2018, injuries aside. There just aren’t a lot of other guys for these guys to fight. What makes it a little bit of a unique situation is, Anthony Joshua might be the first non-American heavyweight in history who doesn’t need America. If he wants to fight Wilder and Wilder wants to fight him, the chances are good that the fight would be in England. Joshua doesn’t need to come here, he says he wants to but he doesn’t need to. The money being what it is, Joshua-Wilder doesn’t have to be a classic pay-per-view fight in America, it can just be a gigantic fight in England. As American fans we have been spoiled over the years because we get all the big heavyweight fights here for the most part. We have to understand that Joshua is a unique individual who is a global superstar and doesn’t necessarily need what America can give him. Jenna J: Who would you give the edge to in that fight, if it were to happen? 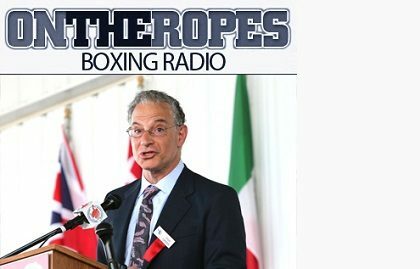 Steve Farhood: I probably would make Joshua the favorite right now, but Wilder has that tremendous equalizer with the right hand. One of the reasons Joshua is so appealing is because he has shown vulnerability, not just against Klitschko, he showed vulnerability when he fought Dillian Whyte, he got hurt in that fight. Joshua has shown the ability to come back from getting in trouble, but I don’t know if he can take Wilder’s punch if he gets in trouble against Wilder. 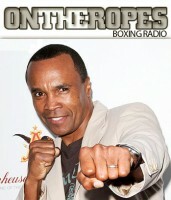 I would make Joshua the favorite going in right now, he’s fought tougher guys. He fought Klitschko and that alone makes his resume more impressive than Wilder, but Wilder has 37 knockouts in 38 fights. 13 Responses to "Steve Farhood: “I don’t know if Anthony Joshua can take Deontay Wilder’s punch if he gets in trouble”"
Of course he can take Wilder’s punch. He took the shot of the best heavyweight of our generation in Klitschko. Who is Wilder compared to that? Wilder is the strongest puncher in boxing, he has the highest KO % in heavyweight history and he is undefeated. Joshua who???? For the moment AJ has a greater KO % than Wilder !!! AJ have 100% KO ratio . I agree with my Farhood.If Joshua were to be in trouble I don’t think Wilder would let him off the hook. The question is can Wilder take Joshua´s power ? I seriously doubt it. Joshua was lucky Wladmir was old, both of them fights like robots, Ali, Holmes, Holyfield,Tyson, etc would have beat them easily in their prime. Ali would have said here comes the right duck, here come the left duck, and then peppered both of them with a combination. I believe that it could last more than we expect. Both would try to outbox each other first and foremost, then when the opportunity comes they’re gonna throw the bomb. To me it is a 50-50 fight: I am not entirely sold on neither of them. Both have terrible defense and Joshua was easily getting hit and on the floor against the old and slow klitscho. Wilder’s punches are coming fast and hard. Both Joshua and Wilder possess the power to K.O. the other. First to hurt the other wins this one by knockout the way I see it.